Gennady Padalka, who holds the record for most days in space by any person ever, is retiring from the Russian space program. Back home at NASA, Anna Fisher, hired in the first class of space shuttle astronauts in 1978, has retired from the agency. 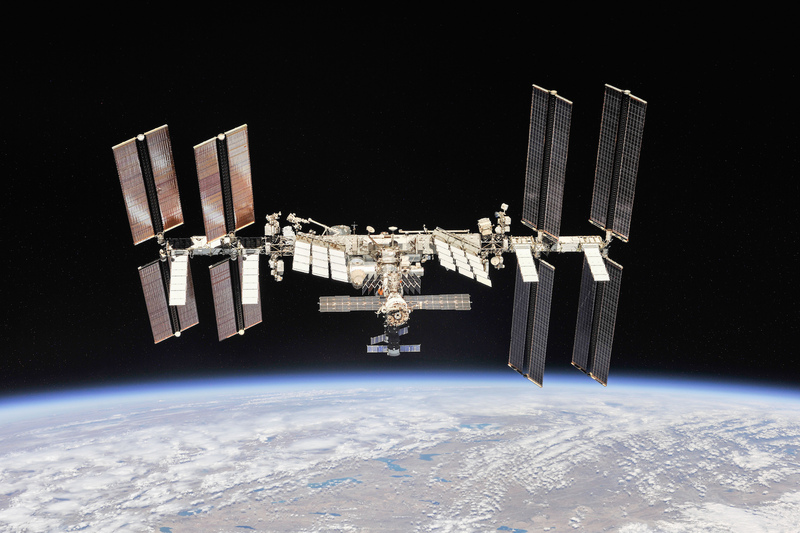 Both the Cygnus cargo freighter and the Soyuz crew arrived at ISS with no problems. The Chinese Tiangong also successfully docked with the Tiangong space station (which is currently unmaneed). Today, April 30th, SpaceX attempted to launch another Falcon 9 rocket from Florida, carrying a payload for the US National Reconnaissance Office. The launch was scrubbed during the last minute before ignition due to an issue with the booster. SpaceX will try again tomorrow. NASA’s Dawn spacecraft, in orbit of asteroid Ceres, has lost another reaction control wheel, and is now flying on its remaining wheel. The spacecraft launched in 2007. Mission managers believe the spacecraft should make it through the remainder of the mission on the last of four wheels. NASA’s Cassini spacecraft, in orbit of Saturn, is wrapping up operations as it heads toward the end of its mission in September. 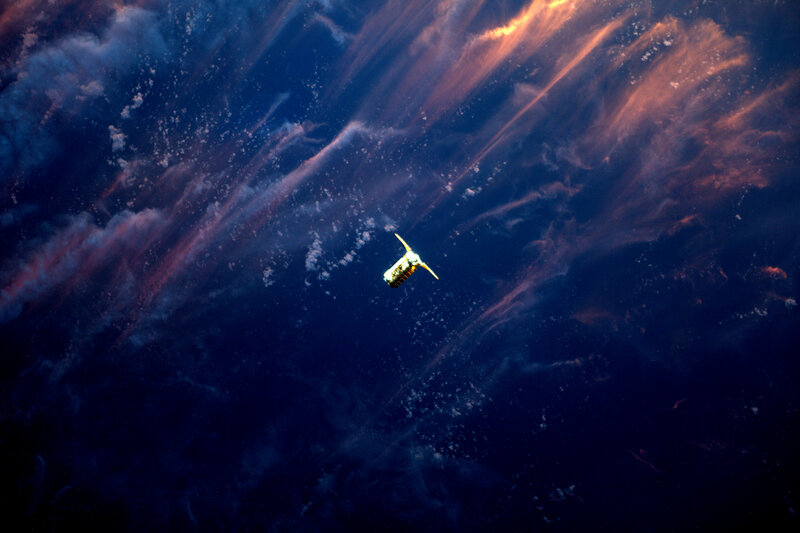 The mission is going out in style, with several new images from its new closer orbit. Including this view of Earth through Saturn’s rings and these images from the closest ever orbit of Saturn.